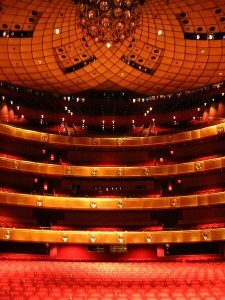 Theater in New York is a major tourist attraction, with shows both On Broadway and Off Broadway attracting theatergoers from the entire globe. Yet despite this massive entertainment draw, The King, The Final Hours is the first ever production in this sphere to portray the final hours of the iconic 20th century recording artist as he realized his time on earth was coming to an end. Tourists from all over the world will have the opportunity to see The King, The Final Hours, the first Off-Broadway production on the life and death of the King’s career, when it debuts this fall. Though The King, The Final Hours will premier in New York at The Producer’s Club Theatre on October 17th, you don’t have to be from the Big Apple to check out this new jukebox musical based on the life, love, and failures of the King. Domestic and international fans of both the King and of Off-Broadway theatre won’t get to see just a play, however. Audience members after the show can interact with the playwright in an intimate Q&A session to discuss further the play’s themes and storylines. This experience makes The King, The Final Hours one of the best Off-Broadway plays debuting this fall. For more information on tickets for The King, The Final Hours, click here. Sean Vichinsky is a production assistant on The King, The Final Hours. He’s been published in USA Today. Want to see a Sneak Peak of our Show?